Recently, WhatsApp introduced a new Live Location feature in its latest update. 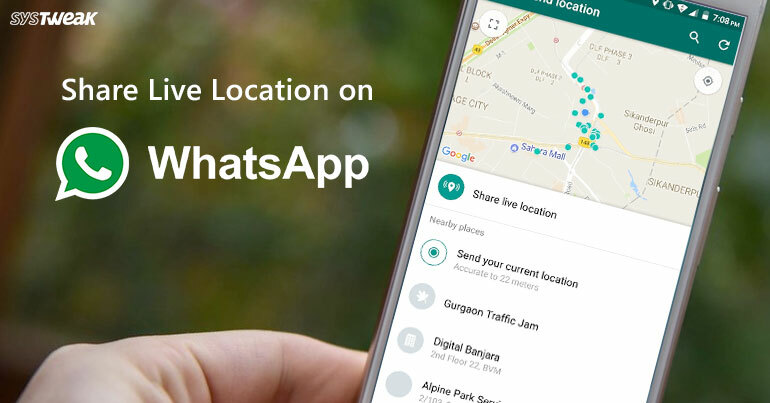 This feature allows WhatsApp users to share live location with their contacts. Sharing your locations means you no longer have to worry about tracking the location of your friends or family member. Sharing your location makes thing convenient when meeting-up with friends, or to ensure that your family knows about your safety when travelling alone. This new Live Location feature is simple and protected way to know people where you are. In case you were not aware, you will find below the steps to share live location on WhatsApp on iPhone and Android Phone. To share your WhatsApp location on iPhone, you need to give permission to access this feature. To do so go to Settings > WhatsApp> Location. Open your WhatsApp message with a Group or the person that you wish to share your Live Location with. Next, tap on the plus button located at the bottom left corner. Now on slide up menu, tap on Location. Next, tap on Share Live Location. Post this a slide-up menu will appear, here you can select the time span of your Live Location to be visible to your Group or person and then tap on the Send button. To share your WhatsApp location on Android, you need to give permission to access this feature. To do so go to Settings > Apps/Applications > WhatsApp > Permissions. Now, launch WhatsApp on your Android phone. Next, tap on the attach icon located near the camera icon. Now on slide up menu, tap on the Location. Here, you can select the time span of your Live Location you want to be visible to your Group or person and then tap on the Send button. Must Read: WhatsApp Now Offers 2 step Verification—Here’s how to Enable it! That’s all folks! I hope that you could share live location with your loved ones or friends with the easy steps mentioned above. In case you face any problem using the above steps, please feel free to share in comments section below.